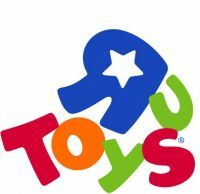 Following a turbulent year during which thousands of employees lost their jobs due to Toys R Us ceasing operations in the U.K. and Australia while moving through bankruptcy proceedings in the U.S., word comes today that Geoffrey is being given new troops to command at Tru Kids Brands. Will this entity be able to capture business from companies like Hasbro that are still feeling the sting of Toys R Us’ decline? We might learn more about that possibility as this news will surely spread during Toy Fair New York week, so stay tuned to TFW2005. Read the full press release here, then sound off on the 2005 boards! I like how the author called Sears a big seller of toys. Who's seen toys in Sears since KB shut down a decade ago? Yep! Which means they won't be selling the stuff we really want. Not sure how long they will last on the TRU branded (generic type) toys because they didn't sell that great in the first place. I'm not sure Bain didn't expect TRU to survive – they wouldn't have spent SO much money on immediate expansion of Babies R Us brand, something that was a smart move at the time but it's completion coincided with the bottom falling out of the bricks-and-mortar baby business..
Thats exactly the point of venture capitalism – or vulture capitalism, as I like to call it. They prey on walking corpses of businesses and feast on their remains. They only stretched out TRU's existence because TRU was paying them for buying them out. They had no intention of actually saving the business. They were in it for the money alone. $1 Billion in debt is certainly bad, I don't disagree. $6 Billion in debt, which was the case immediately after the Bain (and others) buy-out, is exponentially worse. I feel extremely comfortable putting all the blame on the buy out. Another sizable part of that was used for expansion. Bain was literally requiring TRU to pay off their own damn buyout. They didn't expect TRU to survive. It's all part of the plan nowadays. Venture capitalists have figured out that its more profitable in the short term to destroy businesses than it is to build them up. They'll eventually be the end of the american economy in its entirety if something is not done. I'm not sure Bain didn't expect TRU to survive – they wouldn't have spent SO much money on immediate expansion of Babies R Us brand, something that was a smart move at the time but it's completion coincided with the bottom falling out of the bricks-and-mortar baby business. Not to mention, they stretched it out a really long time, if they were just going to tank the business. But that's not to excuse the shady practices that did lead to it's demise either. Lampert's been siphoning off real estate to his own holding company with every store they close. If Sears went completely under, creditors would force it to be sold for market value instead of the nickels and dimes he's been convincing the board of duhrectors to accept thus far. Maybe they think the money can be invested to help them turn around? But you have to remember, Lampert's inflicted some seriously crippling injuries and thinking a few off-brand band-aids will restore them to health is naive at best. Ever since Toys r us has been gone Target has been getting multiple cases of TF waves even Walgreens is fully stocked. I don’t see a need for Toys r us to return. Don't count on that lasting very long. Dropping all the way down to 400 stores between them and KMart is going to destroy whatever pricing power they had left. Mass store closings are just a more scenic route to the same graveyard. Sears has been in a slow agonizing death spiral for a decade or so now. I'm not sure exactly what Eddie Lampert's plan is for the company, but he expects to profit from it somehow (and to hell with the employees) or why the court didn't put the company out of its misery last week. A few years ago there might have been a chance to save the company, but Lampert has made sure that didn't happen. Now Sears and Kmart are just slowly bleeding to death and nobody seems to care enough to put a quick end to them. Hasbro: Great to have you back! TRU: Well that was easy . . .
TRU: We want to order 50,000 units. Hasbro: Minimum order amount is 200,000 units. What they should do is start out small and in certain locations through out the US. See how that does after a year or two of operations, and if it does well, slowly expand. Maybe start out like GameStop. GameStop has been a bit wobbly lately because they expanded too fast buy buying out ThinkGeek. They should start shuttering some of their stores, maybe they can start to be more profitable moving forward. The /only/ issue I really have with TRU corporate is that they gave executives multimillion dollar bonuses to "try to keep the company open." Suppoedly it was tied to the company remaining open, but who knows if that happened or not. It left a bad taste in the mouth of a lot of TRU employees. Might "smaller footprint" for the U.S. retail strategy indicate lessons learned from TRU Canada? They were trying those in the US. Before they were called the Toybox outlets and specialized in Toys'r'us's own brand of toys(Journey Girls, True Heroes, etc. ), they were experimenting with Geoffery's bargain bins in the US. I never saw the inside of one but was invited to help set one up but turned down the oppurtunity due to the location being to far for my ride to get to. So what crooked company\'s trying to use them as a tax haven this time? I've been seeing a lot of stories recently about the problems Gamestop is having continuing to exist. Supposedly they were trying to sell themselves in late 2018 and declared they had given up on that in 2019 since nobody was interested in paying Gamestop the amount of money they believed they were worth. Some people think Gamestop could be gone by the end of this year. I think they could wind up fused with Toys R Us somehow, maybe the same group winds up owning them. There are a lot of vacant spaces in strip malls near stores like Walmart and Target that landlords are probably desperate to see leased, and might be willing to lease for decent prices. There are ways this could work, if Sears still exists anything is possible. GOOD. For what they've done to PC gaming, I can't decide which GameSuck deserves more between dying in a fire or drowning in a sewage tank. There are ways this could work, if Sears still exists anything is possible.